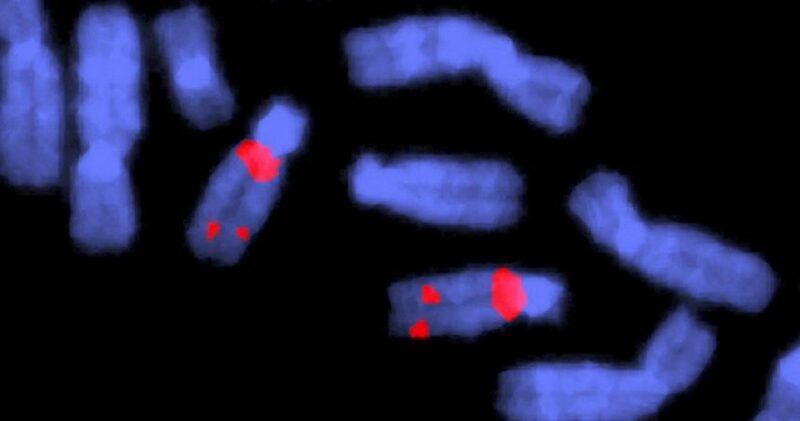 The findings of a study in Lancet Psychiatry suggest that individuals with copy number variants — that is, duplication or deletion — on chromosome 22q11.2 were at risk for various neuropsychiatric disorders. The relationship between 22q11.2 rearrangements and issues such as congenital heart disease, palatal abnormalities, and learning disabilities has been long established. In this study, the authors aimed not only to identify the risk for neuropsychiatric illness, but also to make an unbiased prevalence estimate. Current estimates range from 1 in 2000 to 1 in 9700. The authors used a random population-based sample from the Danish iPSYCH case cohort of 1,427,762 Danes born between 1981 and 2005. They looked at first-year mortality rates as well as rates of attention-deficit/hyperactivity disorder, major depressive disorder, schizophrenia, autism, and bipolar disorder. Prevalence rates for deletion were estimated at 1 in 3672, and duplication occurred in 1 in 1606. Overall, 34 individuals with a deletion and 104 with a duplication were identified. First-year mortality did not occur. Autism, attention-deficit/hyperactivity disorder, or an intellectual disability had developed in approximately 10% of those with either rearrangement by age 32. Hazard ratios indicated no significant risk for major depressive disorder or schizophrenia but a high risk for intellectual disabilities in individuals with deletions (HR 82.44) or duplications (HR 32.16). In individuals with deletions, co-occurring intellectual disabilities and epilepsy were more common. Individuals with duplications, on the other hand, had overall higher rates of neuropsychiatric conditions. Although the study could not confirm the uniformity of these diagnoses, it benefited from its case-cohort design. The study, which is perhaps the first to use a comprehensive national register, indicated lower rates of prevalence than previously estimated, which may help clarify the global burden of 22q11.2 rearrangements. “Current clinical awareness might be driven by somatic indications, but the high risk [for] several neuropsychiatric and developmental disorders supports more extended use of genetic testing in child and adolescent psychiatry,” the researchers concluded. Discussion: TW reports personal fees from H Lundbeck A/S, outside the submitted work. AB reports grants from The Lundbeck Foundation, during the conduct of the study. The other authors declare no competing interests. Olsen L, Sparsø T, Weinsheimer S, et al. http:Prevalence of rearrangements in the 22q11.2 region and population-based risk of neuropsychiatric and developmental disorders in a Danish population: a case-cohort study. Lancet Psychiatry. 2018;5:573-580.